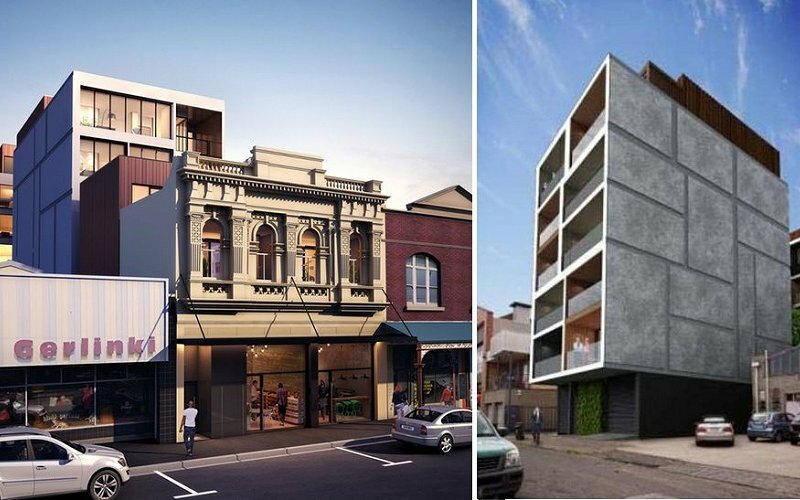 In a sign that other developers are acknowledging the worth of what is being achieved in Brunswick from an apartment design perspective, new site owner Excelon Group has enlisted Six Degrees to mirror other cutting edge and environmentally sympathetic designs in the area, including Nightingale 3 which abuts the intended project directly to the south. In a recent piece on Urban, Milieu Property too realised the worth in continuing the design impetus created by projects such as The Commons and Nightingale, describing the area as "on the precipice of a housing revolution of international significance." Excelon Group to this point has delivered more typical developments, with their most noteworthy being 560 Flinders Street. 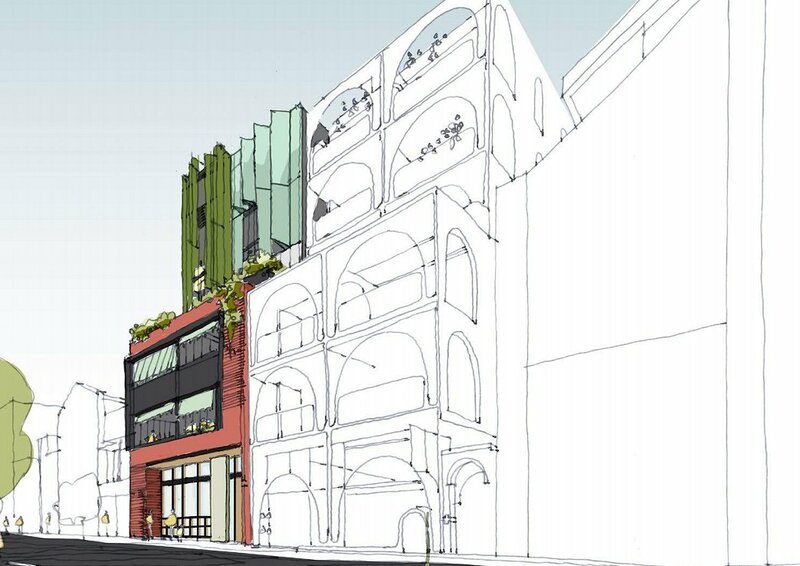 The current application is a stark departure from the previously approved scheme onsite, defined by a new facade which includes operable perforated metal shutters "that will provide a coloured translucent filter" over the building's 21 intended apartments. In Six Degrees words, 211-213 Sydney Road "is an exciting opportunity to showcase best practice sustainability initiatives and technologies in high-density living. In summary, the development seeks to provide an exemplary high-density residential environment, actively promoting ideas around community, shared spaces and environmental sustainability." The aforementioned Nightingale 3 is poised to add further credence to the area's environmentally sustainable design credentials, whilst Nightingale Village's designs are beginning to appear at planning. That benchmark development will see seven buildings of up to eight storeys containing 210 dwellings and multiple ground floor tenancies.